Situated at the popular resort of Naoussa, it combines quietness, a nice view and is an easy 8 minute walk to the town center, which offers the visitor every kind of entertainment and service. It is the ideal choice for enjoying the delights of Naoussa town, plus the many lovely beaches in the area. Traditional cycladic hospitality in our family style hotel at the beautiful fishing village of Naoussa on the island of Paros. 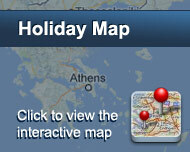 13 nice, spacious and fully equipped rooms will make you relax and enjoy your holidays in Paros Island. 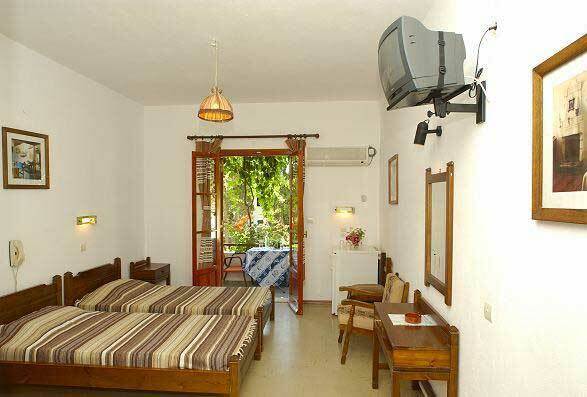 Beautiful rooms each with private bathroom, balcony, air conditioning, refrigerator, telephone and TV. The view to the sea is magic, just enjoy it from the upstairs sun terrace. Είστε ιδιοκτήτης ή διευθυντής στο MANTO; Εγγραφείτε τώρα για δωρεάν εργαλεία, που μπορείτε να χρησιμοποιήσετε για να βελτιώσετε την καταχώρησή σας και να συνδέσετε την ιστοσελίδα σας και το σύστημα κρατήσεών σας.